In China, those building both the most humble dwelling and the most extravagant house-and-garden compound sought to optimize the benefits and minimize the risks of the surrounding natural environment, based on a belief that some surroundings are luckier than others. Fengshui, or wind-and-water, also known as geomancy, is an ancient practice that uses almanacs, charms, and complex compasses to coordinate the interactions of people, their living spaces, and the natural environment. Fengshui regulates two dimensions of the environment - the spatial (the physical configuration of the land), and the temporal (determining the most favorable time to build). According to these principles, humans change the environment when they build habitation sites, with a potential to alter the flow of beneficial energy or qi in a positive or a negative way. The best sites allow energy or qi to flow freely, but not too rapidly. The placement of earth (hills) and water (streams) was seen as especially crucial. 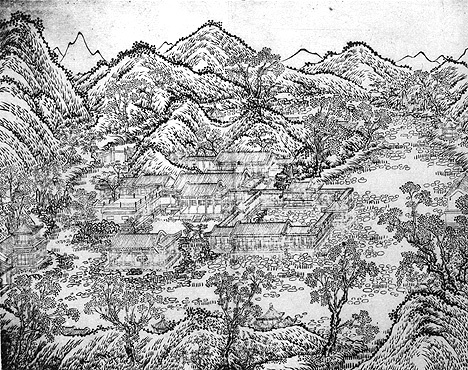 The garden, like the home, was ideally ringed by hills but left open to the front, with tall mountains serving a protective purpose at the back of the compound, always the north side. Water was a critical element, and was often forced to take a circuitous path around the buildings, pooling in front of the main hall. In the highly populated urban centers, garden builders liked to use what they called "borrowed views," or glimpses of plants, trees, or architecture that could be seen beyond the garden walls because they had little freedom to choose the larger setting of their retreat. Geomancers used visible landscape features to choose good sites that modulate the flow of qi. The ideal was something like the example above, with mountains ringing the habitation in a horseshoe shape, higher in back (to the north). The ideal hill formations were said to curl around the dwelling in a formation called a "dragon's lair," and have deep folds in their surface topography. What else about this layout would you consider favorable? Why would this configuration be thought of as protective? 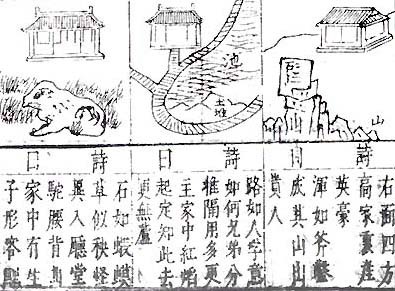 The three images below are from a Ming dynasty carpenter's manual, the Lu ban jing; they enumerate favorable and unfavorable ways of siting, or locating, a house on land with particular features. The example on the far left, for example, says: "If there is a rock resembling a toad, and the grass looks like rice sprouts, weird things will happen in the house. Cripples and hunchbacks will be born, and the sons will have an ugly appearance." The far right example is cited as a favorable one, allowing the house to produce heroes, while the example in the center is said to bode ill for maintaining a harmonious household. What do you think might be the flaws or benefits in each of these sites that favor such readings? Most of these environmental determinations required the expertise of a professional, and while this could be quite costly, even poorer families valued the services of the fengshui practitioner enough to scrape some money together to hire a geomancer before building a house. Some of the principles of fengshui stemmed out of practical concerns. For example, siting a house so that it faces south is the general rule throughout China. 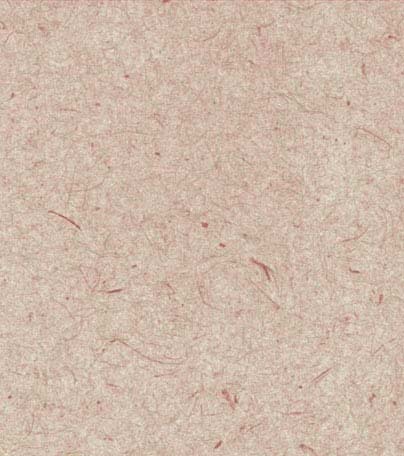 This is discussed more in the Homes main page. What do you think people could do to improve the conditions of their property if the local geography lacked necessary features such as mountains and hills? The balance of yin and yang traits was one of the main goals of the fengshui master. Also considered were the abundance and proximity of the five elements - wood, fire, metal, earth, and water. Water and fire were undesirable elements to associate with the home. Finding ways to balance out pre-existing conditions could bring good fortune to the inhabitants of a dwelling, or at the very least, ensure that they did not invite adversity.